Since our new Cream Ale just hit the shelves, we thought we’d share with everyone what the older can looked like in the 1970s. This was a popular beer back then. 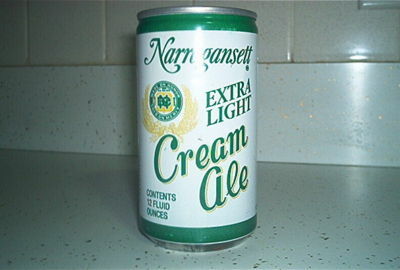 Although the recipe and can is different today, the honor and merit of Narragansett Cream Ale remains the same. ‘Gansett Cream was a staple of the Narragansett Brewery’s portfolio throughout the 1960′s and 1970′s. In the white can with the green trim, it was a refreshing alternative to the more widely heralded ‘Gansett Lager and Porter throughout New England. 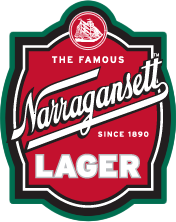 The earlier Narragansett Cream Ale was lighter and had much less hop character than our current cream ale, as was the taste at the time. Still, it was a popular seller for ‘Gansett and that white can was just as fitting a reward at the end of a hard day of yard work as the royal blue can is today.